Tag Archive | "Marissa Case-Shaw"
Madison Case wore the same dress for this years pageant that her mother wore in 1998. 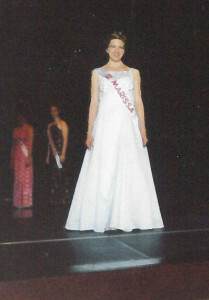 Marissa Case-Shaw wore this white gown in 1998 at the Red Flannel Queen pageant. Participating in the Red Flannel Scholarship Pageant can often be a family affair. One of this year’s winning court members took it one step further than that. Madison Case wore the same dress for the pageant that her mother Marissa Case-Shaw did in 1998 when she competed in the pageant! And it looks just as lovely now as it did then.